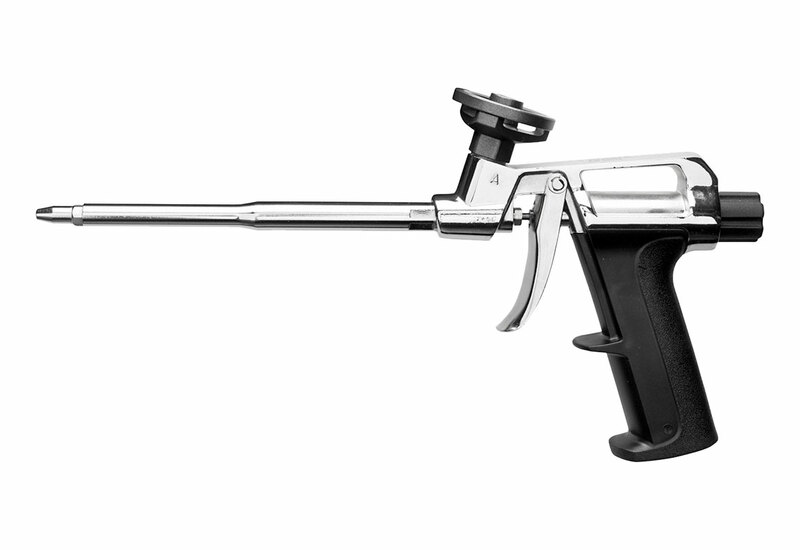 The GREAT STUFF PRO™ 14 Foam Dispensing Guns are built with lightweight, high-strength aluminum body with a metal trigger. They also include a flow-control mechanism that dispenses beads from 1/8" to 3" — exactly where it's needed! All GREAT STUFF PRO™ foam dispensing guns are designed to create an airtight and moisture-tight seal between the gun and the can. The gun to can seal prevents the foam from curing and blocking the dispensing valve, letting you reuse the can for up to one month. When storing foam, always keep a gun securely attached to the top of the can. Built with a flow control screw mechanism located on the back of the gun. This screw mechanism allows the user to dispense a foam from 1/8" to 3" in size. The gun tip type will help to place the bead precisely where you want it. 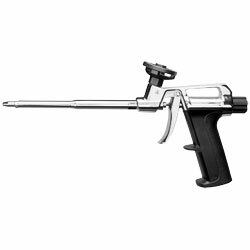 One-hand operation eases use in tight spots and hard-to-reach applications! 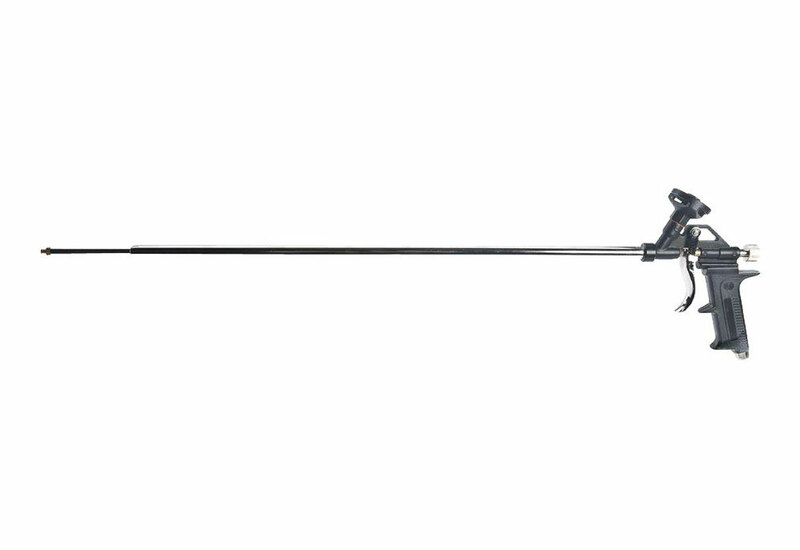 Built with lightweight, high-strength aluminum body with a metal trigger. They also include a flow-control mechanism that dispenses beads from 1/8" to 3" "” exactly where it's needed!